We are now at Thanksgiving and people are already talking about what they are going to be doing. In fact, I would have to say that for the most part we just make the plans and focus on them. We don’t consider what all God has given us and just how blessed we truly are. I catch myself not giving thanks as I should. This past Saturday it hit me hard. I had gone to the church early to get things ready for a funeral. I parked, walked up to the door, unlocked it and walked inside. As I was opening the door I looked at the area by the ramp and I saw it. It was sleeping bag. I walked over to it and found there was someone in it! I called Bro. Zoy to see if he could come to the church. When he got here he woke the young man up and we brought him into my office to warm him up. He told us what all was going on and the issues that had confronted him. He had no gloves, no hat, no coat. He had nothing one would need to face the elements this past weekend and he was living on the street. While he was faced with life like that, I had just left the warmth of the house to come to the church to the warmth found there. What I had but failed to thank God for that morning was what this young man needed. It made me start thinking. How often do we take for granted all that God has given us? I’m sure it is way too often. We complain about having to do laundry, but don’t thank God we have clothes. We complain about having to do dishes, but don’t thank Him for the food that we ate. We must not only be thankful for what we do have, but be willing to share with others as well. We made sure that this young man had a place to sleep for Saturday and Sunday nights. We gave him a coat, gloves, jeans and several other items to insure that he would stay warm when he was out. Bro. Zoy is going to try to help him with other things as well. Bro. Zoy is working with him to see what we can do to help him get back on his feet and move forward. Since we don’t have a homeless shelter here in Pampa, we’re not sure how it will all work out. But we are going to do what we can. This young man is not alone. Others are out there who are in a position much like his. 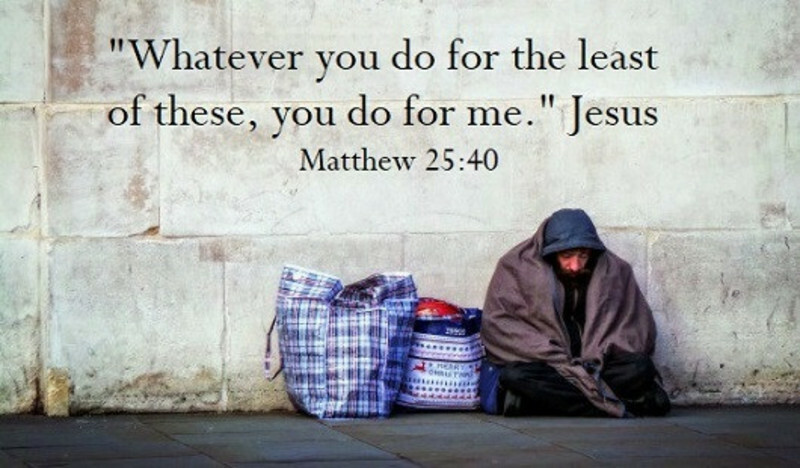 The question I have been asking myself is – ‘What Would Jesus Do?’ I want to make sure that we don’t get so focused on what we have that we forget what others don’t have. As you give ‘Thanks’ this Thanksgiving, remember those who don’t have what they need. Pray for them and then do what you can to help.